Smoothies are a staple for our family: a nutritious meal or snack for busy families on the go. Smoothies can be a lot of work: shopping, cutting and chopping, mixing and pouring. I make a smoothie almost daily, here are some tips I found useful for fast, easy and healthy smoothies the whole family will like. Don’t let bananas go bad: just toss them in the freezer, the browner the better. Leftover salad? Just throw it in a freezer bag and freeze for future smoothies. Buy fruit in bulk when its cheaper, wash, spend a few minutes cutting into bite size pieces, and freeze. 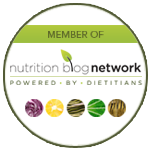 Nuts, ginger, and fresh herbs taste delicious in a fruit or veggie smoothie. 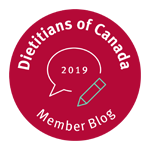 Vary your liquids: I prefer unsweetened almond milk, but yogurt, coconut water, juice or even plain water make your smoothie easier to blend and provide variety and nutrients. Tip: I freeze whole, unpeeled and unprepped fruit when I’m extra busy. 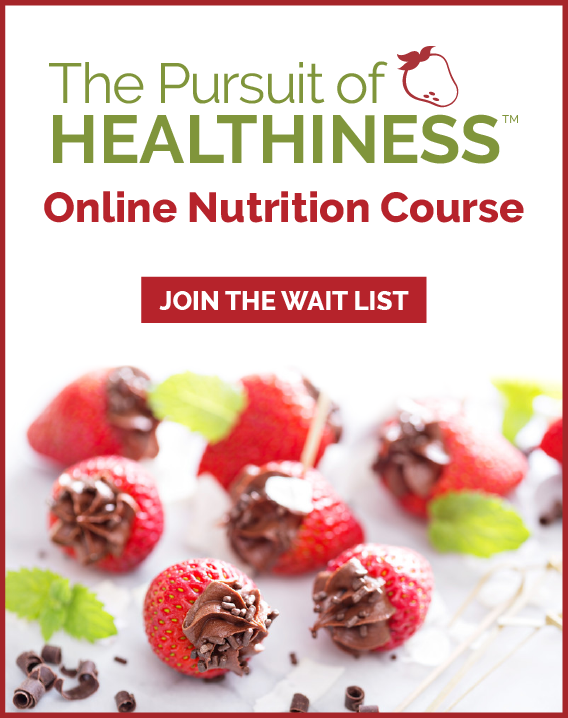 I let bananas and mangos thaw for 30 min – or heat in the microwave for about 15-20 seconds – then peel and cube them; cut the tops off strawberries; I’ve even thrown a whole unopened bag of washed spinach in the freezer when I’m worried it will expire. A blender is perfect for making smoothies in bulk. 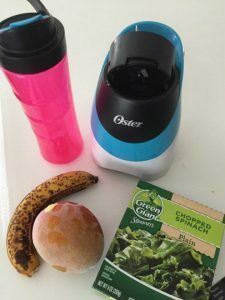 I love my Oster MyBlend personal blender for making smoothies for one: it comes with two plastic sports bottles and I bought extras so everyone can have their own special smoothie bottle. I prefer to use an extra long, wide straw – I buy Tervis reusable straws, and they go straight in the dishwasher just like my Oster sports bottles. Empty plastic single-serve water bottles can be washed and filled with smoothies for easy on-the-go drinks that can then be tossed or saved. Pre-portion prepped individual smoothie servings in freezer bags and freeze. I occasionally make smoothies the night before, put them in the freezer in my sports bottle, then take it with me. By midday, the smoothie is thawed but cold and ready to drink – after a little vigorous bottle shaking. When I prepare a big batch of smoothies, sometimes I have leftovers too small for a drink: delicious mixed with cereal for a fast and nutritious breakfast! What’s your smoothie tip? Share them below in the comments!